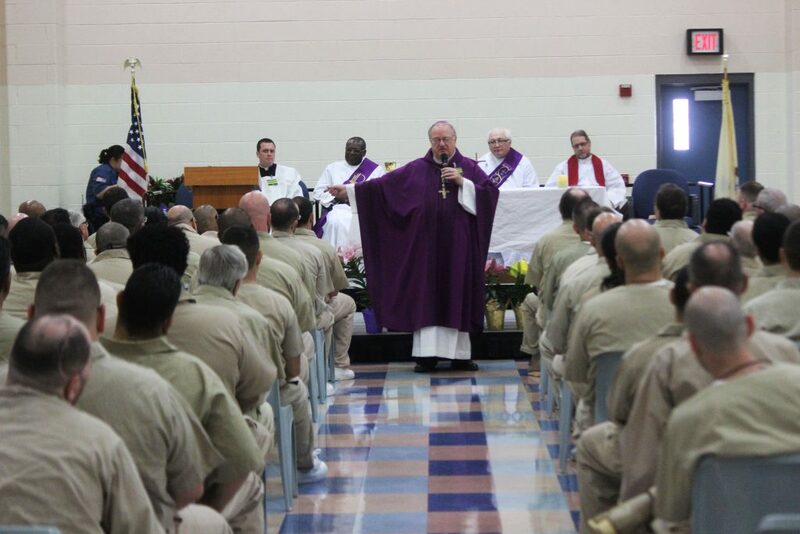 Bishop Dennis Sullivan switched seamlessly between English and Spanish during a special Holy Week Mass for inmates at South Woods State Prison in Bridgeton on Wednesday April 13. Heads bowed and several inmates wiped tears from their faces. 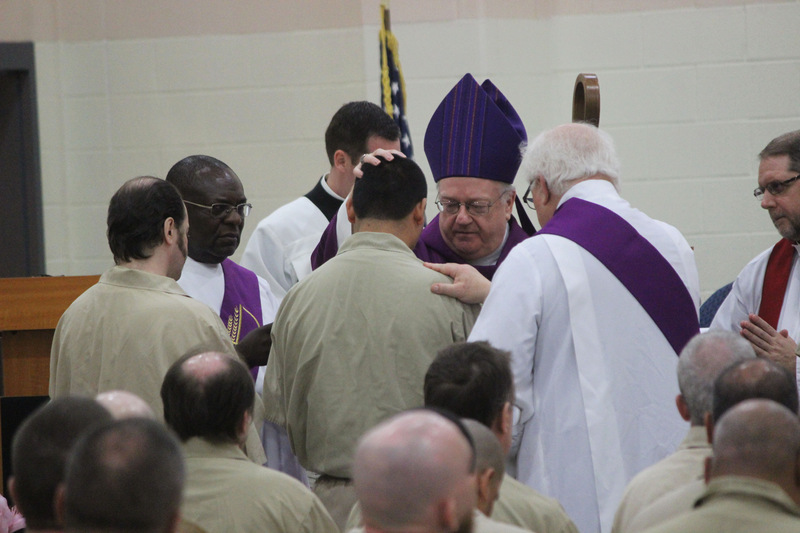 In addition to administering the Eucharist to over 100 inmates during the holiest week of the year, four inmates received the Sacrament of Confirmation – which, as Bishop Sullivan explained, “strengthens them with Christ and his presence”. 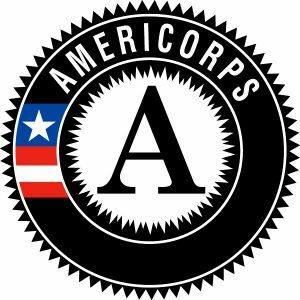 In addition to several deacons, Catholic Charities staff were also present: Executive Director Kevin Hickey, as well as Deacon Jim Hallman, Prison Ministry Coordinator, and Kisanna Owens, Prison Reentry Coordinator. Mass ended with a round of applause for the newly-confirmed inmates, and all sang the joyful “City of God” hymn.